In this week’s Torah portion we read about death and life. Although Parashat Chayei Sarah is deeply saddening in that we learn about the deaths of both Abraham and Sarah, it’s chapters are also filled with the romantic story of Isaac’s betrothal and marriage to Rebecca. Let’s turn to this latter event to understand more about our role as a disciple of Yeshua. In regard to Isaac’s marriage to Rebecca the Torah explains, “So Isaac was comforted after his mother's death” (Genesis 24:67). Isaac’s marriage was a source of comfort and joy to not only Isaac, but to Abraham as well. As soon as Abraham had laid Sarah to rest in the cave of Machpelah, he began working to procure a wife for his son. One of the more unique factors about the engagement of Isaac to Rebecca, however, is that it took place in a manner that is foreign to most people today, especially those of us entrenched in Western culture. Rather than Isaac meeting a beautiful young lady at a social event and asking her out on a date, Isaac and Rebecca’s relationship was pre-arranged by their parents. In Judaism, this is called a shidduch, a pre-arranged marriage. In a world of independence, self-reliance, distrust, and cynicism, this practice seems oppressive to our modern senses. However, in Abraham’s day when a relationship was established between the heads of two families it was understood to be in the best interests of the children. The story of Isaac and Rebecca begins when Abraham sends out his servant to search for a bride for his son. Presumably this would have been his servant Eliezer of Damascus. He was sent back to the land of Abraham’s family to find a suitable bride for his son, Isaac. As we know, God brought success to Eliezer. When Rebecca demonstrated godly character and a servant’s heart, he knew that God had heard his prayer and he had found the perfect wife for Isaac. Eliezer then acted on behalf of his master and began the engagement process. How does this work? In the Scriptures and in early Jewish writings, there is a concept of an agent acting on behalf of another as his full representative, his emissary. He has full authority to act on behalf of his sender. This person is called a shaliach. Shaliach means a “sent one.” Therefore, one who is sent to represent another person is a shaliach. When people refer to a shaliach today, most people have in mind the emissaries of the Chabad Rebbe, Rabbi Menachem Mendel Schneerson, of blessed memory. The Rebbe started sending out shlichim (or shluchim as they are called among Chabadniks) in the 1950’s to remote Jewish locations throughout the world. Their job was to assist these communities in their religious needs, making it easier for them to live a Torah-centered life. These shluchim all agree that they are not simply doing their own thing. They are an extension of the Rebbe, and work to ensure they are representing him in all they do. Eliezer of Damascus was not a Chabadnik. He was a shaliach of Abraham. And because he was a shaliach, he was entirely absorbed with doing the will of his master. 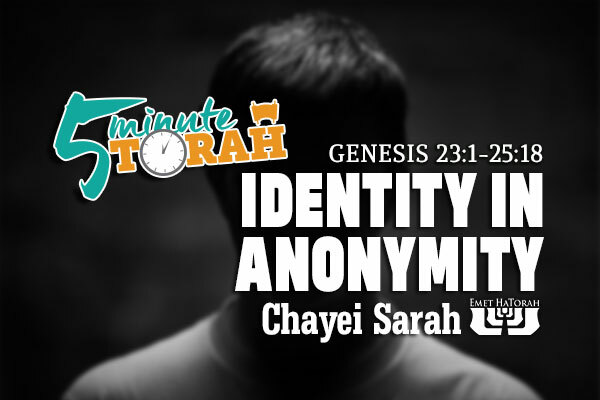 Our parashah emphasizes this point by obscuring his identity. Rather than simply telling us that he was Eliezer, it says that he was Abraham’s “servant, the elder of his house, who ruled over all that was his” (Genesis 24:2). And when he speaks to Laban, he emphasizes that his will has completely been nullified by refusing to personally identify himself. He simply says, “I am Abraham's servant” (Genesis 24:34). Yeshua was his Father’s shaliach. He chose twelve shlichim to represent him to the world by teaching others what he had taught them. They, in turn, made other shlichim. Those of us who are disciples of Yeshua today are in some way shlichim as well. We are supposed to be representing Yeshua to the world. Eliezer represented his master, Abraham, and by extension his master’s son, Isaac. He was not the bridegroom. Yet he acted on Isaac’s behalf. In reference to Yeshua, John the Immerser said, “The one who has the bride is the bridegroom. The friend of the bridegroom, who stands and hears him, rejoices greatly at the bridegroom’s voice. Therefore this joy of mine is now complete. He must increase, but I must decrease” (John 3:29–30). Eliezer understood his mission. John understood his. Do we understand ours? Sometimes we find our true identity in anonymity. When people look at us do they see us, or do they see our Master, Yeshua?